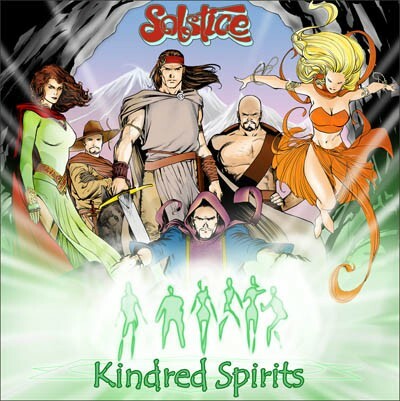 Solstice are as unfashionable as Plus Four trousers and cravats and yet, 31 years after their original formation these demi-gods of Britprog (see what I did there?) 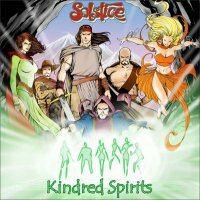 are still going strong, to which their recent studio album 'Spirit' (reviewed in Fireworks 44) duly attests. That review concluded as follows: "I would ask them to try and replicate more of the spirit of their live performance in the studio next time around". The gig starts with 'Morning Light' from the 1993 album 'New Life' and represents an auspicious start, as this is a heavyweight song from the band's recorded catalogue. A trio of tracks not from 'Spirit' come in the middle of the show, starting with the cerebral 'Cheyenne' with superb vocalisation from Emma Brown which is in complete contrast to 'Ducks' which fuses ska and country rhythms (I kid you not) and '5456' which continues the ska theme with this Toots & The Maytals number which includes enthusiastic audience participation. It's absolutely wonderful, but perhaps I've now lost all of the musical purists who read this magazine! The gig closes with a fantastic encore of 'Sacred Run' (from the 1997 album 'Circles'). The DVD also includes a bonus of two songs taken from the band's performance at the 'Night Of The Prog' festival in Germany later in 2010, but Brown's vocals have sadly been largely lost in the mix. The accompanying CD has six tracks also recorded at the Pitz Club in 2007 and 2008 that were not part of the album launch gig. Amongst these are some particularly fine performances by guitarist and band leader Andy Glass. Indeed the whole package reveals him to be a charming, totally committed and hugely talented performer whose standing in the world of progressive music deserves to be much more prominent in my view. For me, this is a glorious package. For you: well, if you enjoy "Britprog" and can take quirky malarkey with the more serious moments, then do give it a try!